Make someone’s Easter extra special by giving them a homemade card. It is easy to buy a chocolate egg but making an easter card takes time and effort which makes it extra thoughtful. 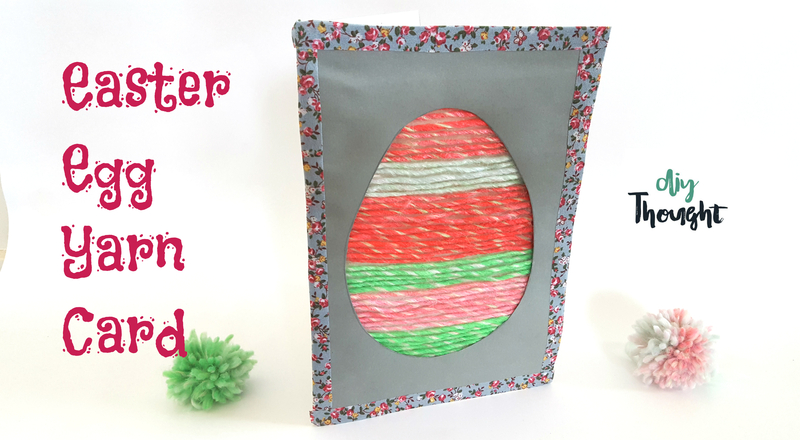 This Easter Egg Yarn Card is made by taping yarn onto card before sticking another piece of card with an oval cutout over the top, exposing the yarn bellow. So simple! This is a fantastic card for older children and teens to make. Check out our step by step guide to see exactly how easy this card is to make. 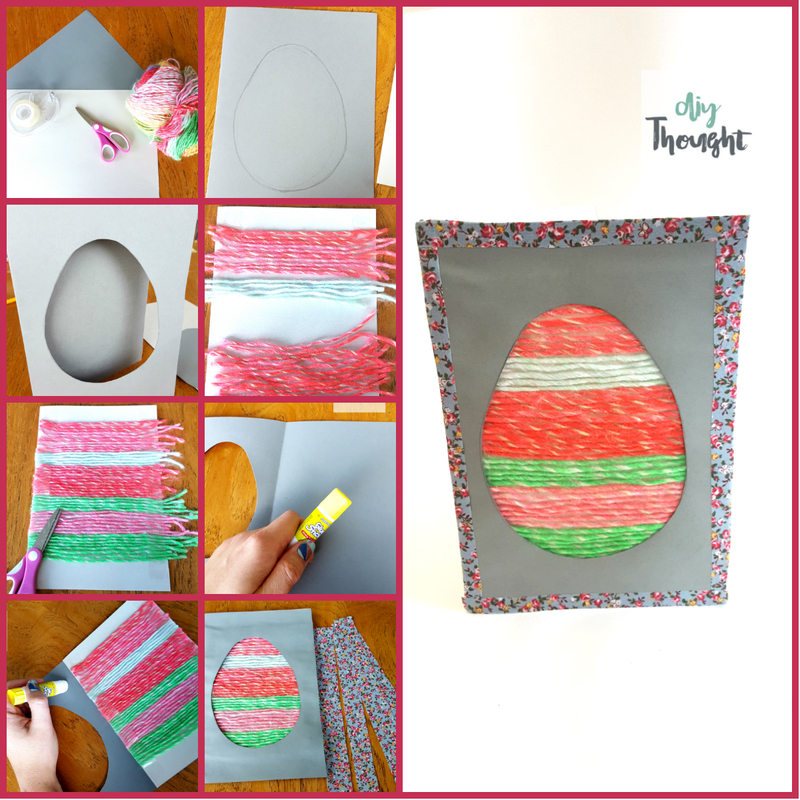 After making this Easter Egg Yarn Card you will want to make more, try altering the cover shape or making one with lots of smaller eggs. Optional sticky fabric or paper for card border. Fold both pieces of card in half. Draw an oval egg shape onto the piece of card that you want to be the cover. Cut strip or yarn and place strips on the piece of card without the egg cutout, making sure that it is on the cover side. Tape the yarn in small sections as this makes it easier to stick the yarn where you want it! Trim the edges of yarn so it doesn’t overhang. If you are not doing step 9. then cut it a little shorter on the edge side so you can’t see the yarn poking out when the card is finished. Glue the backs of the two pieces of card together. Apply glue to the front of the card around the egg cutout. Use plenty of glue. Press together. This part is optional, I hadn’t planned on doing it until I got to this stage and thought my card could do with something extra. Cut strips of sticky fabric or other paper/ thin card. Stick around the edges of your card.